Magnar Jenssen, Level Designer at Avalanche Studios will talk about his first steps and experiences as a Level Designer. Magnar: My name is Magnar Jenssen, I’m 28 years old and I’m from Norway. Currently I’m living in Stockholm, Sweden where I work at Avalanche Studios as a Level Designer. Magnar: It just happened. I’ve always loved creating stuff, when I was a kid I’d write stories, draw a lot and do other creative stuff, and later on I started playing videogames on the Atari, Amiga, SNES and so on. Once I found out about first person shooters such as Quake and Duke Nukem 3D on the PC I started trying out level design software, and never really stopped. I love my job since it allows me to be creative and have fun and for the most part it never feels like a job, so I’m happy it turned out the way it did. M: How did you started with mapping? Magnar: I started out with level design back in 1997 by a fluke. I was playing Duke Nukem 3D, and in one of the rooms in the first level there was a couch. I thought “that couch would look much better at that other wall”, and that led to me picking up the level editing program for the game. A decade later I am where I am today. I guess if being a level designer didn’t work out I could be an interior designer. M: What’s your responsibilities at Avalanche Studios? 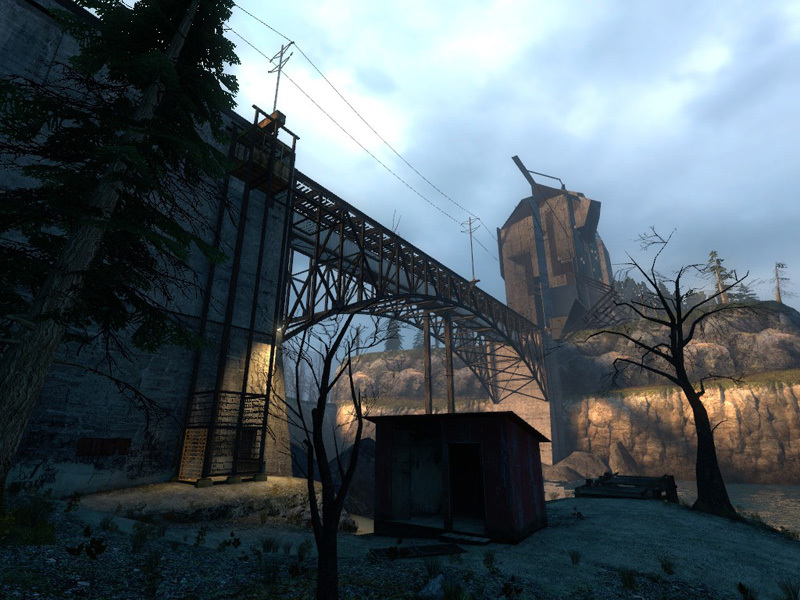 Magnar: At Avalanche I’m working as a Level Designer. That comes with the usual responsibilities of designing and building levels for the game, bug fixing, optimization etc. 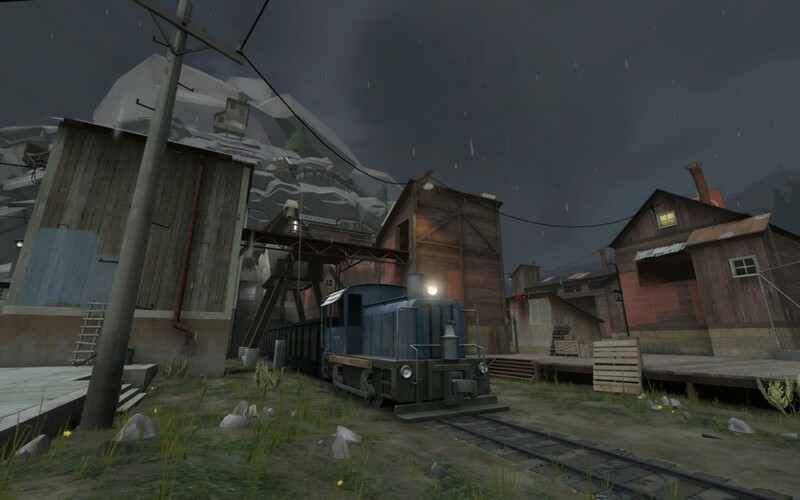 What’s good about Avalanche as a studio is that the Level Designers get to do pure design tasks as well, such as influencing the design of game systems, enemies and other functions of the game. It’s like a scaled down version of being a Game Designer, which is a lot of fun. M: You have lots of experience with other studios, are changes good? Isn’t that hard? Magnar: During the 5 years I’ve worked in the industry I’ve worked at 3 different studios. My first switch was quite easy, since I didn’t have much of a choice! Grin, my first job, went bankrupt and I found myself without a job. Luckily I quickly got hired by a studio close-by, called Starbreeze. However, this studio was located in a different city than the one I lived in, so I had to travel on commuter trains and such each day. In a cold country like Sweden that wasn’t too much fun during the winter! I decided to switch jobs after a year and a half and joined Avalanche Studios, where I currently work. Change can be good, it all depends on how you like it at your current place of employment. I think one of the biggest factors in working for a studio is how happy you feel about it yourself, not just that you get a paycheck every month. I’m working with my hobby, which I greatly enjoy, so I don’t want it ruined by working at some place I’m not happy. All of my studio changes were in the same area so luckily I didn’t have to switch apartments or learn a new language, so in that aspect it was easy. I’ve only switched countries once, from Norway to Sweden, so for me the switch in language and such was not very hard, however it does take a toll on you to leave friends and family behind. However, you only live once, so try to make the most out of it! M: You think that it’s hard to find job in the industry? Magnar: It’s very competitive and as a inexperienced person I think it’s probably quite hard to land your first job. Most studios value experience highly, but if you can prove your worth through a strong portfolio you stand a good chance. I don’t think any HR person would turn down an awesome designer even if that person doesn’t have 3+ years of professional experience. M: What is the best thing to put into the portfolio? Magnar: I’d recommend putting in polished, finished levels. You also don’t need to have a complete list of all the projects you’ve worked on since day 1, put in your best work only. 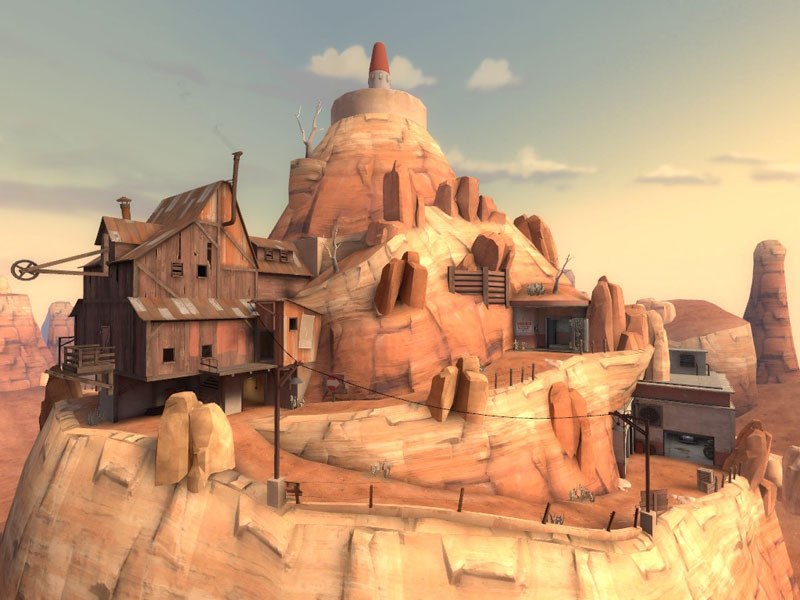 If you’ve studied Level Design at a games school, I’d definitely recommend getting in some of your own work as well, in addition to whatever assignments you’ve done for school. Imagine that you’re applying alongside the other students, if you don’t have anything to help you stand out you’re basically competing with more or less identical portfolios. The best part is that you get paid to do your hobby. For the most part it doesn’t feel like work, unless you have to sit in long meetings or spill some coffee on your pants. The worst part (and worst is maybe the wrong word for it) is that maybe you won’t get to utilize all your ideas in a professional game. However, they can still be used in personal projects, which give you motivation to make stuff on your own time. M: How your typical workflow looks like? Magnar: Here’s a quick write up on how I work. It probably won’t work for everybody, but there’s no “right” way to work. After having the initial idea for the mission/level, I sit down and write down every idea I can come up with. And I mean everything from combat encounters to puzzles to unique events and more. Along with that I gather reference pictures of the environment and try to build up a diverse library of that. Once I’ve got a bunch of ideas together, I sort through them, pick out my favorites, tweak them and so on. Once I know what events will happen in the level, I start writing a walkthrough of the mission. This helps me create a mental image of the level which is great to work from. I usually don’t make sketches of layouts and such, since things tend to change so much once you get something in-game. The walkthrough contains absolutely everything I can think of which is relevant. It’s not just a step-by-step guide to the different enemy encounters, but even notes on what the player should see, how the player will progress, weapon availability and so on. The more complete the walkthrough is, the better sense you get of the level. Now that I’ve got a walkthrough I’m happy with, I move back a step, to take a second look at the idea-list I compiled in the beginning. Now it’s time to try these ideas out in the game, and since I’ve been away from the list for a while I have maybe thought of changes and tweaks to the original ideas. I try these ideas out in small test levels, which I then have people playtest. Preferably I want to see people play it instead of getting written feedback, since you can learn a lot of stuff by seeing how someone deals with a puzzle/scenario. Maybe there was a point in the playtest where something was not very obvious or too hard, but when the time comes to write the written feedback that problem is left out/forgotten. Once I’ve tried out the ideas I want to focus on, I move on to the next step. Now I start laying out the level. This is where it gets interesting, and time consuming, since all the pieces have to work together, the pacing should be decent (time split between action-areas and puzzle/rest areas), the design of the combat areas needs to be done, and a first scripting-pass on NPCs and events should be done. Once all the pieces have come together, I send it to playtesting and wait for feedback. Once the feedback comes back (preferably from several testers) I compile a list of common problems, then another list of general feedback. I fix the common problems first of course, since this is something every tester reacted to. The general feedback can be things such as one player had difficulty in a combat encounter, a puzzle was not readable enough etc. These problems can be fixed with tweaking, since not every tester experienced the problem. After the first iteration, which sorts out the biggest problems, I start fleshing out the map. Now I can move into graphics, making areas pretty. Also proper lighting can be added. During this time I send out new test-versions to get continual feedback on how the level is evolving. Once the level has been locked down (ie. the combat encounters are solid, the puzzles work, the flow and pacing is great) I start the last phase. This is where I polish up all the areas, fix (hopefully) all bugs and tweak the timing of events. It’s strange how big of an impact a 0.2 second tweak of something can have on the feel of the level. Once this phase is over, the level is done and it’s time to move on to the next one! M: You’ve been working on a linear shooters? Now you’re working on wide opened worlds. What’s the differences? Magnar: Before joining Avalanche I only worked on linear first/third person shooters, so the change to open world design was very interesting indeed. The most important thing to think about is player choice. Of course you know that the player will play through the story missions in the proper order, but you don’t know what other activities the player has done in between the story missions. Maybe the player has access to weaponry which changes the balance of the mission and so on. Another thing to consider is that different missions can bleed into each other, in that they share world space and such. Of course you can custom-design layouts for specific missions, but when missions span large stretches of the world then a change in the world can potentially affect the mission. Basically it requires a lot more communication between designers. Magnar: Lately I’ve put a lot of time into Fallout: New Vegas, which I picked up in the recent summer Steam sale. The scale of it along with the amount of things you can do is extremely impressive. I keep getting sidetracked from the main storyline quest to go off explore or perform side missions, which really shows that they’ve succeeded in creating a interesting world. I’m also punching my way through Batman: Arkham Asylum, just in time for the sequel to come out. It’s an extremely good looking and fun game, but sadly it has a bit of a design flaw where you walk around in “Detective mode” all the time, which tints your screen and gives you x-ray vision. If you don’t use it, you get to appreciate how beautiful the game really is, but you risk missing most of the secrets and vital information about where enemies are. Still, the fighting is really well done, so I’m looking forward to the sequel. Some old games I can recommend would be Deus Ex, which set the bar for open-ended FPS/RPG games. I must have played through that game five times, each time with a different approach, and even finding new things each time. Another game would be the severely underrated Saboteur, a WW2 game where you run around Paris blowing up Nazis. The story mode is not much to write home about, but the freeform gameplay is great, you get extra points for destroying enemy equipment such as cannons, sniper towers, tanks etc. which are scattered around the world. It’s a lot of fun to come to a place, see a problem such as a tank and two sniper towers, then try to find the best way to go about blowing everything up without losing your own life. M: What do you enjoy doing when you’re not at work? Magnar: When I’m not working I hang out with my girlfriend and relax. I also work on personal projects, which gives me an outlet for ideas I can’t utilize in my professional work. Magnar: You can visit my portfolio at www.magnarj.net.